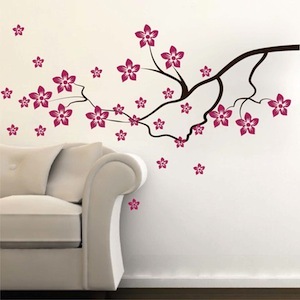 Decorate your walls with the Contemporary Flower Branch Wall Decal! 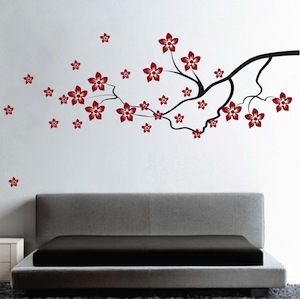 Pop your walls with this vinyl creation from Trendy Wall Designs. 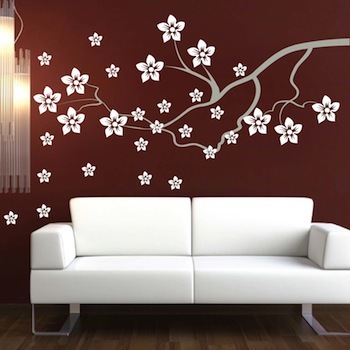 Bring some elegance to your walls with the vinyl Contemporary Flower Branch Wall Decal! Each branch includes a total of 30 flowers (10 large, 20 small). Choose the branch size, the branch color, and the flower color. Once your branch is in place, have fun arranging the flowers any way you wish! 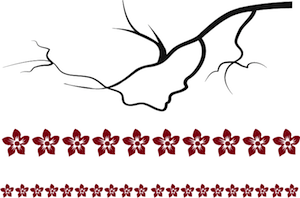 Please note: The plain, black, cranberry, and white image below the product image is the actual design you will receive with each order in the color of your choice. Specify the desired orientation when applicable. Design sizes are within a close approximation. Looks amazing in an empty space we had in our living room. LOVE IT!!!! I placed this in my kitchen were we have a recessed area that our concealed door fits into. It really brightens up what would be a dull boring wall that you can't hang any pictures on. I have this wall decal opposite of my accent wall. It looks hot. Easy to apply.